The 2016 edition of the Billboard Music Awards kicked off over the weekend and the uprising of dance music over the last few years had a noticeable impact on the selection of artists involved in the award show. 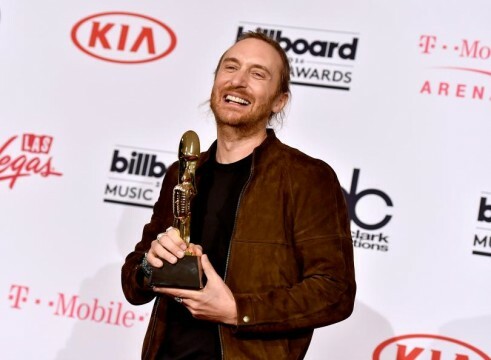 Curiously, David Guetta managed to get named as the Top Dance/Electronic Artist of the year, trumping Major Lazer, Zedd and The Chainsmokers in a decision that will likely have dance music fans angrily hitting the comment boards. However, a number of more deserving artists did walk away from the ceremony with some awards of their own. Major Lazer and DJ Snake’s summer anthem of 2015 “Lean On” was unsurprisingly named the Top Dance/Electronic Song, reigning supreme against contenders like The Chainsmoker’s “Roses” and Guetta’s “Hey Mama.” Elsewhere, Zedd’s sophomore LP True Colors beat out Jack Ü, ODESZA and Major Lazer for the title of Top Dance/Electronic Album. Take a look at the full list of winners from the Billboard Music Awards below and let us know what you think of them.